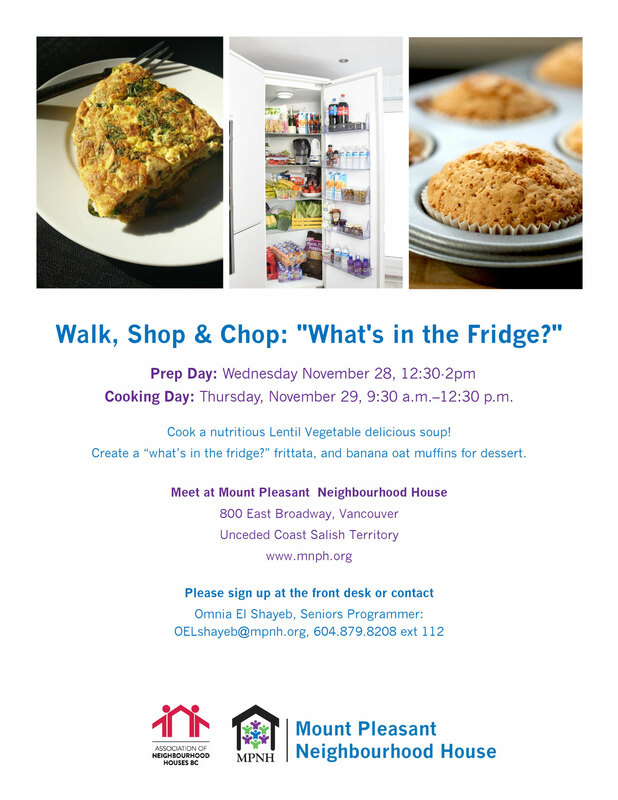 Walk, Shop & Chop combines fun, food and fitness. We walk, cook and enjoy great meals together. We are senior-driven and senior-run, and we are always looking for new people to join us. Volunteer roles are needed for: sous chef, cooking, setup, cleaning. Register with Omnia. Cooking Day: Thursday, January 31, 9:30 a.m.–12:30 p.m.
Do you want to improve your cooking skill, learn new healthy recipes? 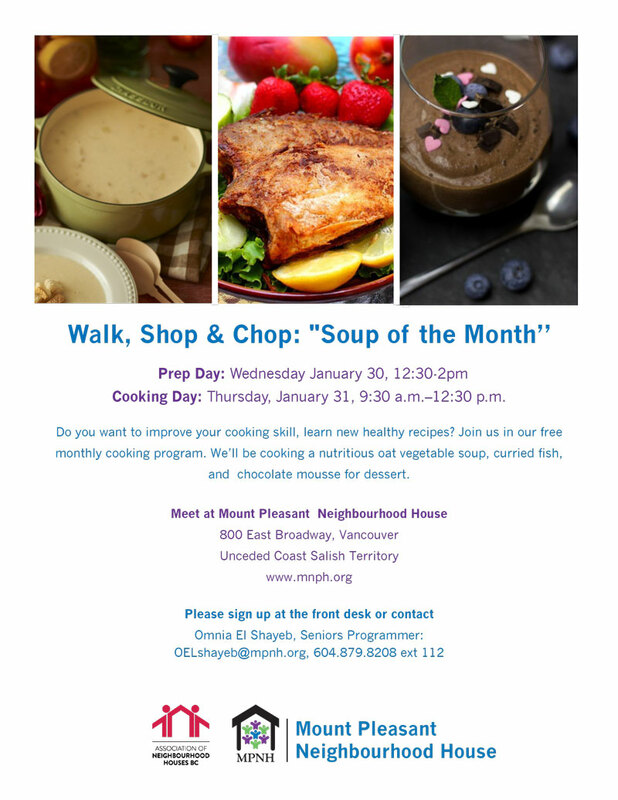 Join us in our free monthly cooking program. We’ll be cooking a nutritious oat vegetable soup, curried fish, and chocolate mousse for dessert.